This Cayman GT4 is heavily tracked. 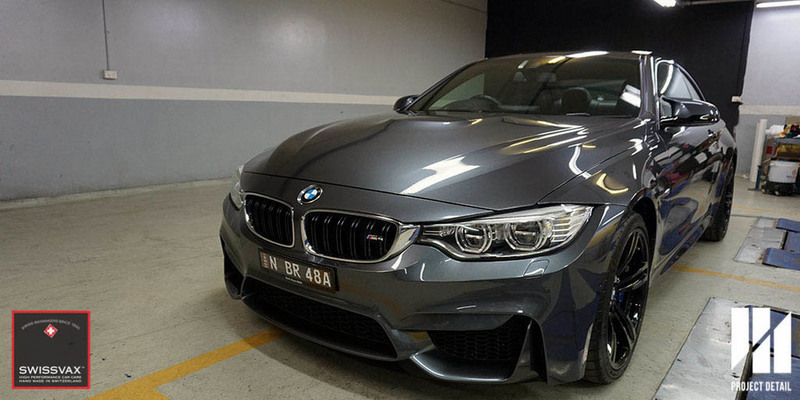 With the right and regular maintenance, this car stays in good condition. While it's difficult for most car owners to maintain their car's regularly, some car owners use their cars differently as with this Porsche Cayman GT4. This Porsche hits the track usually 2-3 times per month and as a result requires more then just a wash to maintain its condition. 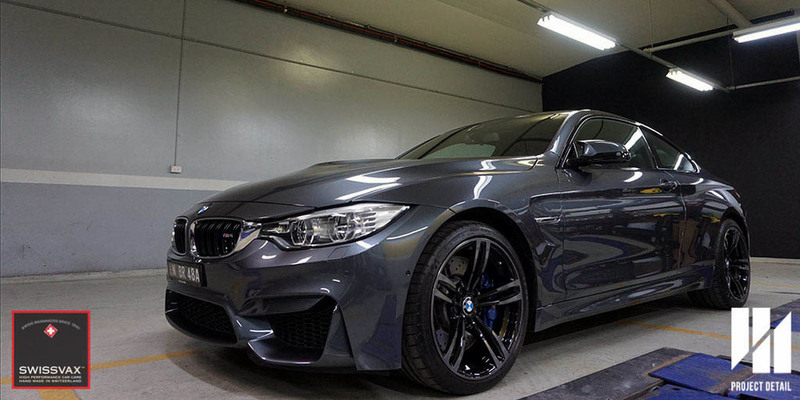 Before taking his car to the track, the owner engaged Project Detail to fully wrap the entire vehicle with Xpel Ultimate Paint Protection Film (PPF). 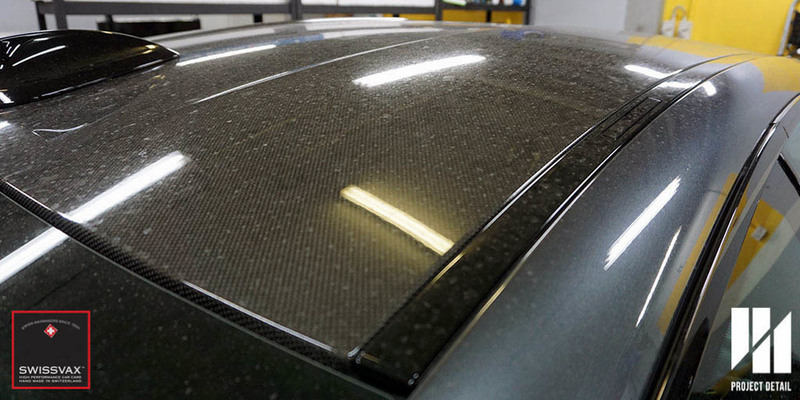 This allowed the car complete protection and gave it the strongest protection available for track use. Find out more about our PPF services by clicking here. While daily driving presents all sorts of challenges for keeping a car clean such as traffic film/road grime, bugs, tar or regular dust, tracking a car is a level above. With burning rubber hitting your car and building up on your own wheels and body, rocks hitting your car at very high speeds and other debris striking your car beyond the norm. This GT4 was a good example, as it was heavily soiled when it arrived. Heavy Tar, burnt rubber and bugs riddle the surface of this Porsche Cayman GT4. Because of the build up, maintaining a track car is often beyond a normal wash. We had to use a mixture of chemicals and solvents which are safe for the PPF material while effectively removing the debris. Project Detail utilises a 21 Stage Wash & Decontamination in order to provide safe and excellent results whenever we wash a vehicle. In this instance, additional stages were introduced. 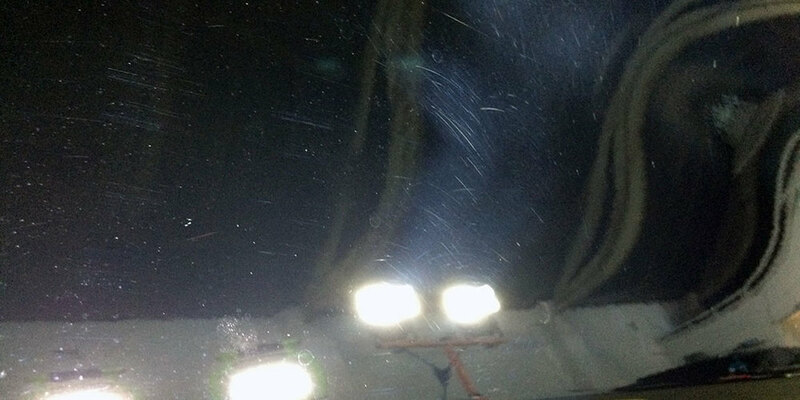 In order to cleanse the surface deeply, we have sprayed an Iron Fallout Remover on the surface. This gently cleanses and breaks down brake dust and other ferrous particles. Once we have removed any contamination safely, we generally foam wash a vehicle once or twice depending on the level of grime and grit present. Our foam is combined with our hot water pressure washer which can heat water up to boiling temperature, this allows safe and more effective cleaning. Foam washing is an effective wash to break down and remove the majority of grit and dirt without any friction which in turn causes swirls and scratches. If you track your vehicle often or would just like a safe maintenance routine, contact us today by clicking here and see how our services differ. Almost every family in Australia owns a car. In a perfect world, cars won't get dirty and paintwork are flawless without any imperfections. While in reality, cars do get dirty easier than you think from harmful environment factors such as bird and bat poo, industrial fallout or even tree sap. The good news is there are ways to keep them less dirty with waxing your car regularly or by using paint protection coating's self-cleaning effects. 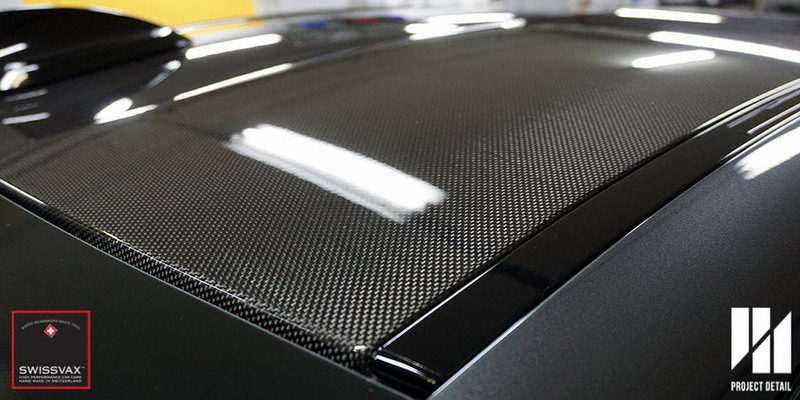 You can check out our article about paint protection coatings here. We love our cars and most of us always want a clean car, that is why car washes and car care products exist. Compared to windscreen glass for example, painted surfaces on a car is actually quite soft and they tend to get scratched easily. 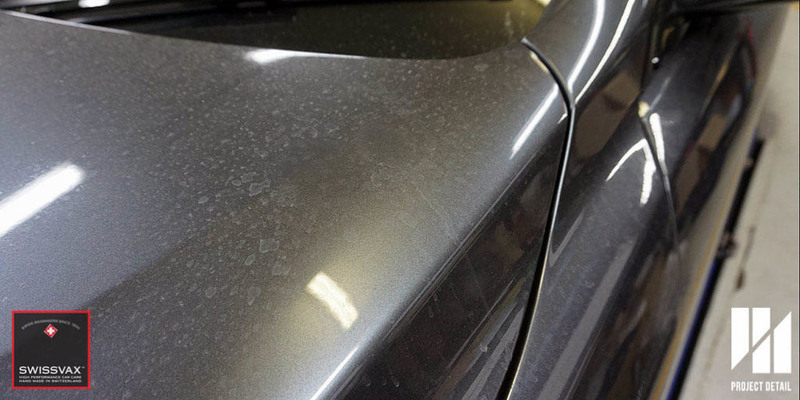 If your car is covered in dust and your brush it off, chances are you've created fine scratches on the car. Ever wipe your car with something like a tissue? That has also probably scratched the surface. Without the right washing methods, it won't be long for your car paintwork looks tired and loses its lustre and gloss, leaving behind swirl marks, scratches and a dull finish. One of the best and easiest ways to keep your car in the best condition in the long run is by using the famous 2-bucket method in conjunction with Grit Guards to wash your car safely, this method is also included in our 21-Stage Wash and Decontamination. 2-Bucket method is a safer way and a major improvement to wash your car while reducing the changes of any swirl marks caused in the process. Project Detail will go through the process with you below. Car shampoo of your choice. We suggest using a pH neutral one if possible. Optional - Grit Guards. Easily found online, if you have these, these are a major bonus. Start by filling two buckets with as much water as possible. This allows the dirt to be released easier and suspended in the liquid. While having too little water means the dirt and debris is more concentrated. Pour your shampoo mixture to the right dilution ratio into one bucket only. This becomes your 'wash' bucket. The second bucket is filled with water only, this bucket becomes your rinse bucket. Using a clean microfibre mitt, begin washing the vehicle top to bottom. This allows any loose dirt to pour down and not create any more work in this fashion. Try not to use excessive force otherwise the friction may push into the paintwork and cause swirls or scratches. Allow the microfibre mitt to glide over the surface and catch all the sediment in it's microfibre fingers. 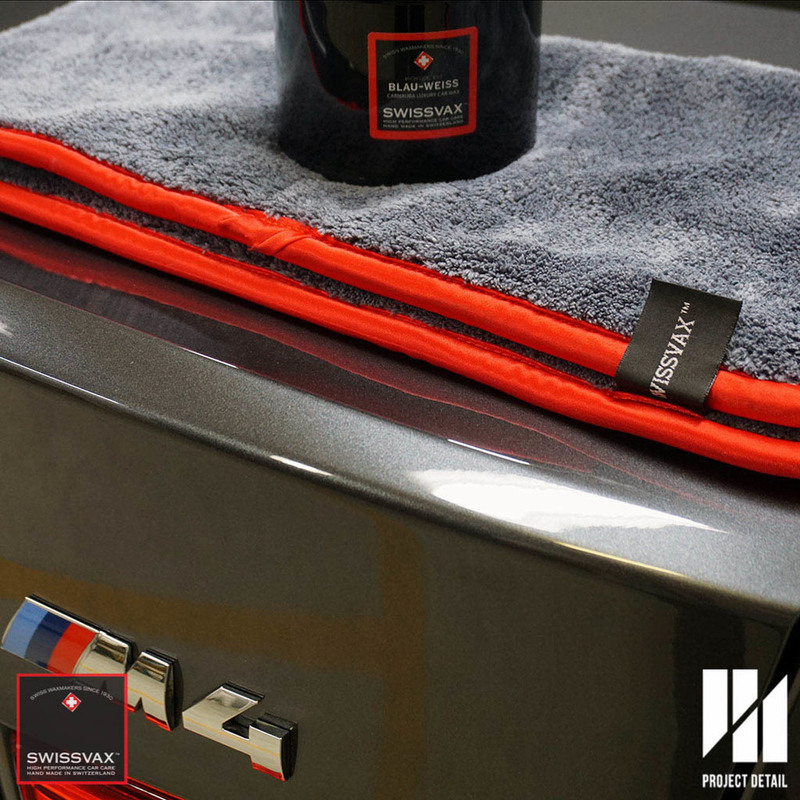 Every panel or adjusting depending on how dirty your car is, rinse the microfibre mitt in your 'rinse' bucket. The dirt will be trapped in this bucket. Wring the mitt clean and dry. Dip your mitt into the 'wash' bucket. Your mitt should be clean and be carrying clean shampoo water onto the vehicle. Repeat the process until your vehicle is washed. If vehicle is excessively dirty, it's ok to change the water for fresh water or even change mitts. After washing and drying your vehicle, be sure to wash the mitts and buckets for next use. We hope that this article has been useful for you, feel free to share and comment as we believe this will assist in keeping your car swirl free for longer. If you would like to know more about how Project Detail washes their vehicles, be sure to check out our 21 stage wash method by clicking here. To know more or for any additional questions, click here to contact us. Decontamination - Why is it important? We get a lot of customers that are concerned about their paint feeling rough, or texture very similar to a sandpaper. This usually happens with a combination of a car that hasn't been detailed for a long period of time and also lacking of any form of paint protection. 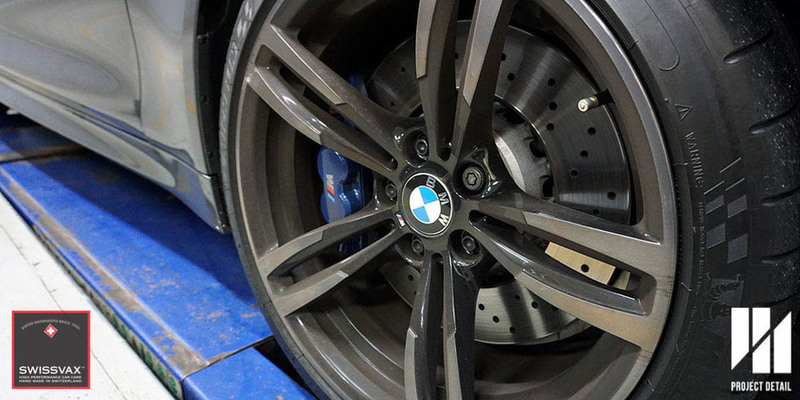 It happens when a vehicle is being driven and being exposed to the harsh environment, dirt, road grime and also iron particles such as brake dust from not only your car but from other vehicles on the road too. Hence why paint protection (in any form) is important. 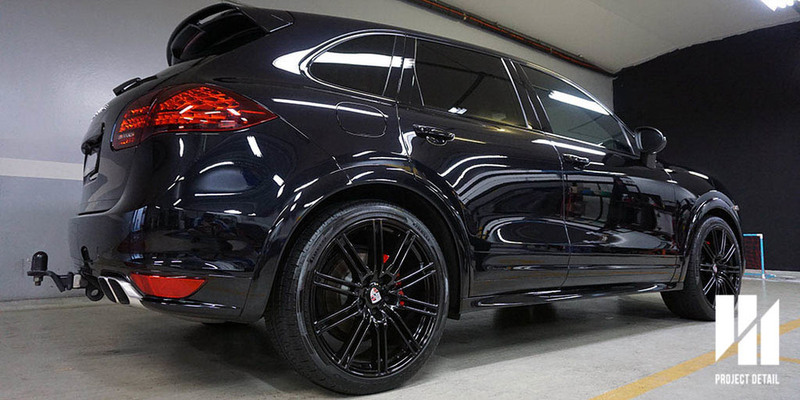 You can refer to our blog post earlier: Should I consider paint protection for my car? Over time, these contaminants gets bonded to your paint and hence why your paint will feel rough or sandpaper like and usually a normal routine car wash will not be able to remove these contaminants. Decontamination is part of our 21-Stage Wash because they are vital to good results. Every car and contaminants level is different from car to car and how often the owner decides to wash and wax it or get it detailed properly. We usually check how bad they are by feeling the paintwork with our bare hands and with a plastic bag to 'magnify' the feel of the paintwork. Different levels of contaminants decides which method we shall use - ranging from fine grade to heavy grade. 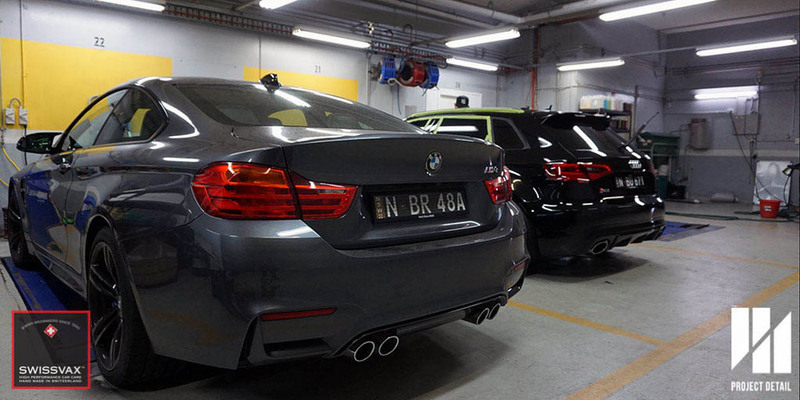 And if its mild like a brand new car, we usually use chemical decontamination and very fine grade if necessary. We do not advice to use a higher grade if its not necessary. A chemical decontamination being used to remove any iron fallout from day to day driving on a GC8 Subaru WRX. Iron Fallout remover such as CarPro's Iron X to remove iron fallout particles, also known as ferrous. Tar and Adhesive remover such as CarPro's Tar X to remove stubborn bug and tar spots from heavy country driving such as bug splatter, tree sap etc on the windshield, mirrors and front bar. Both of them works really well and if the car's contaminant is mild, usually a clay bar is not needed. Clay Bar - Traditional method of removing bonded contaminants, ranging from fine grade to heavy, depends on how much the paintwork needs. Sometimes a medium grade won't be able to remove contaminants completely. Clay mitt/towel/cloth - A revolutionary product that would able to remove contaminants in half of the time compared to traditional clay bars, we usually use a clay mitt/towel/cloth if a car is going through an intensive paint correction because if usually the clay mitt/towel/cloth is close to medium to heavy grade and they usually causes paintwork marring, especially on softer paints. How can I stop contaminants or prevent them? As bad as contaminants sounds, they are very normal but there are ways to prevent them from building up on your precious car's paintwork. Medium cost solution: Bringing to a reputable detailer on a fortnightly or monthly basis for a maintenance detail. A good reputable detailer knows if your car needs a light or heavy decontamination and they usually have high quality waxes or sealants in their arsenal. We do have maintenance detail packages for your car care needs. Be sure to get in touch with us if you need to get your car detailed regularly. 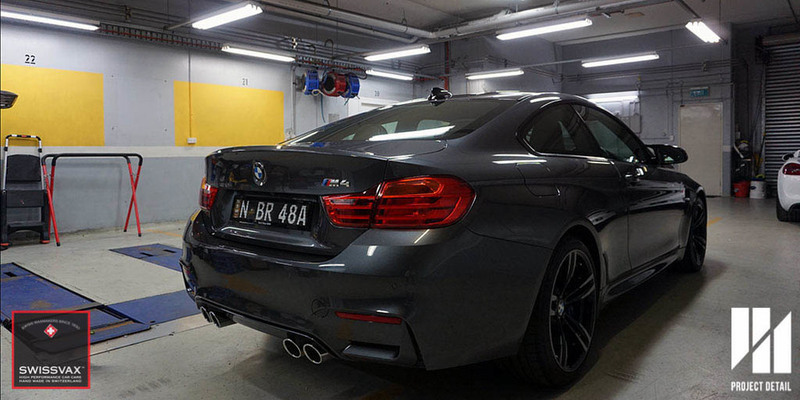 Medium to High Cost Solution: Permanent Paint Protection Coating, also known as ceramic/glass/quartz/nano coatings. A good coating does provide a long term protection permanent protection that doesn't wear off while washing, self-cleaning effects from their very hydrophobic nature and also its inability for particles to adhere to the surface, hence a extremely low chance of getting contaminants build up on your car's paintwork. If a coated car is regularly maintained properly, not only your car will look as good as it just has been detailed from Day 1, also your car will be contaminant free at all times! 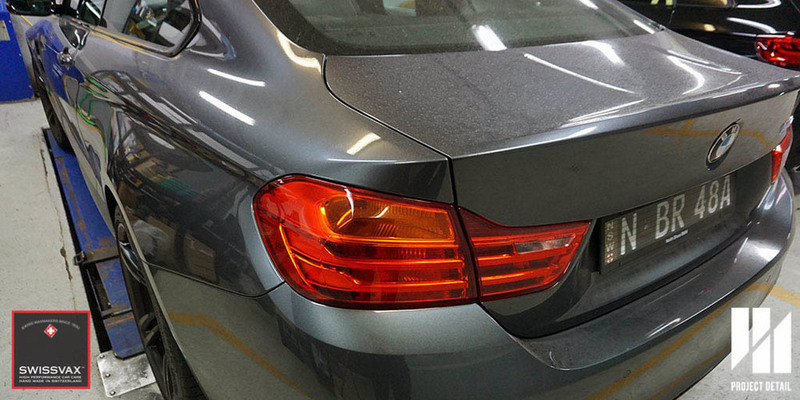 We offer permanent paint protection coatings for both brand new and used car. Feel free to contact us for any detailing questions or enquiries. 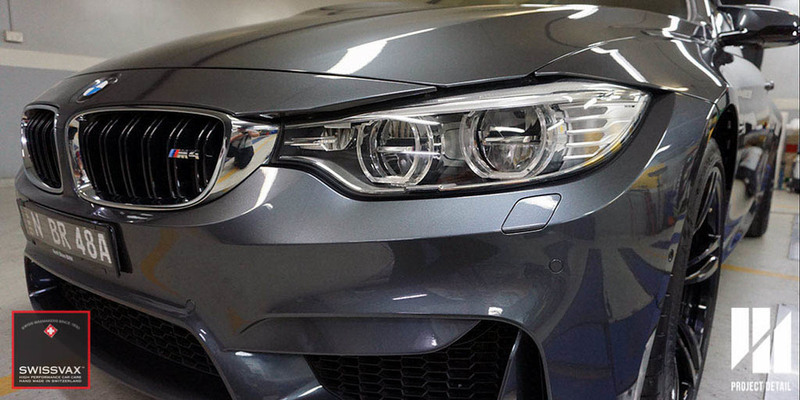 Are you looking for a better detailer? Or considering getting your car detailed? Project Detail aims to provide you with some interesting questions for you to not only think about but ask your current detailer or person washing your car. The photo's attached are from 2015 new Porsche Cayenne. After explaining to the customer how improper washing methods from the dealership scratched his car he immediately asked what basic things could he do to improve his car. 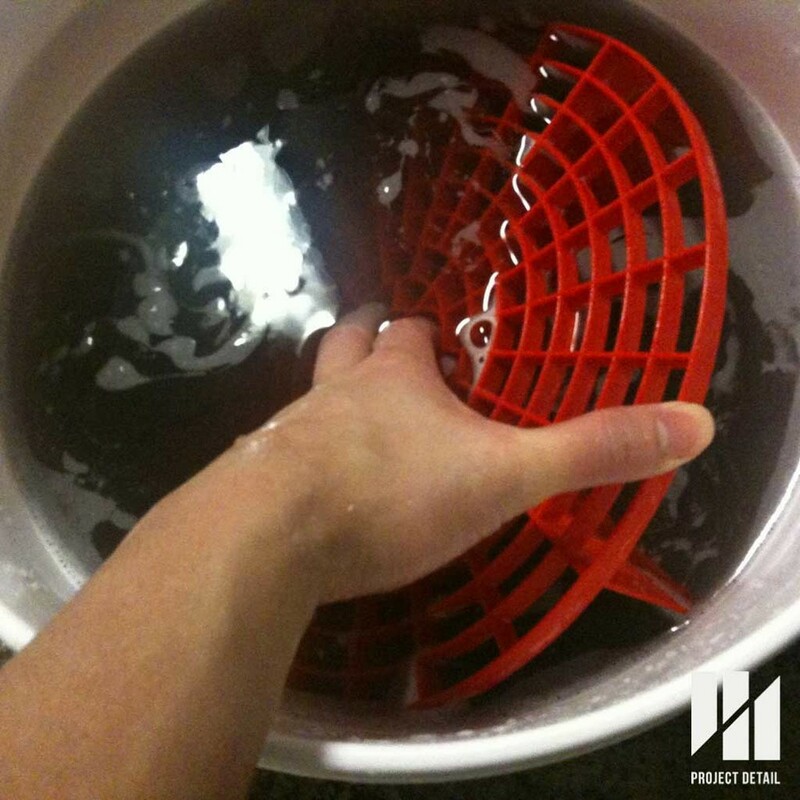 1| Do you use a multiple bucket & grit guard system for washing? The standard for detailing today in Australia should mean that any professional detailing or washing your vehicle should use multiple buckets combined with a grit guard system. This should consist of at least 2 but should be 3 buckets. The idea behind the multiple bucket & grit guards is to create a system where sediment, sand and other debris that is washed and picked up during the wash can be filtered out. The multiple buckets is quite straight forward, the first bucket is for wheels and arches only. Do not use this bucket for anything else, as the brake dust and metal particles can be very damaging to the paint. The second and third bucket are for washing the rest of the exterior. One bucket is for rinsing your washing medium only, and the other has clean shampoo. At the bottom of these buckets contain Grit Guards. These are effective cages that stay at the bottom of the bucket. These let sediment, dirt and sand fall to the bottom leaving clean water above the Grit Guard. This is very important as it one of the easiest but most effective ways of reducing swirl marks. 2| Do they use a sponge? In addition to the point above, we highly recommending finding out what type of washing medium your detailer or car washer uses. Do they use a sponge? Then stop them immediately. Other then using a kitchen scourer, a common car wash sponge is actually one of the worst things you can wash your car with. We recommend a variety of better solutions. The most cost effective is using a microfibre mitt, these have microfibre noodles on a glove that physically pick up and remove dirt and debris. These are what most good detailers use in combination with the grit guard and bucket combination. 3| How do you dry the car after washing? Continuing with questions 1 and 2, unnecessary friction is what causes a lot of the scratches and defects present over a vehicle. After washing a car, drying off the car is the next important step. Most people who wash their own car, do one of two things. They either leave the car to dry without wiping it off, this is good in the sense there is no friction so no swirl may be formed. However, it can also be extremely bad as watermarks and left over soap can dry and stain the paintwork forming water marks. The second thing most people do is use a chamois to absorb and dry the car. A traditional chamois, leather or synthetic, is very grabby. It sticks to the paint with immense friction while it takes off the water. 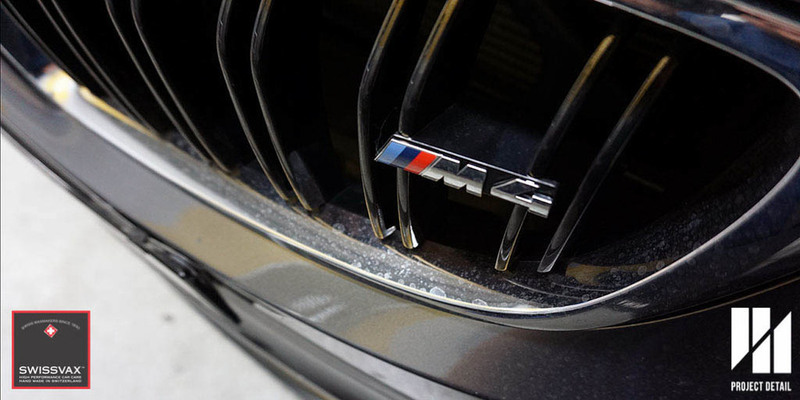 This leads to a lot of swirl marks and marring particularly on cars with softer paint or darker colours. What we would recommend is switching to a quality microfibre made drying towel. Not only can these be used dry, they hold an amazing amount of water but also glide over the surface with much less friction. For those wanting to be more thorough, having access to compressed air or investing in a mini blower can help dry the car without excessive friction and it also helps get all the water out of the crevices. Another safe option is finding a quality spray wax or quick detailers spray, this acts as a fast and sprayable lubricant and use new microfibre towels. This is another quick way to dry the car and if you are not putting another product on will add a quick layer of protection. For further information or if you would to find out more contact us here.